Hello there and welcome to another day of Clearly Besotted Teasers. 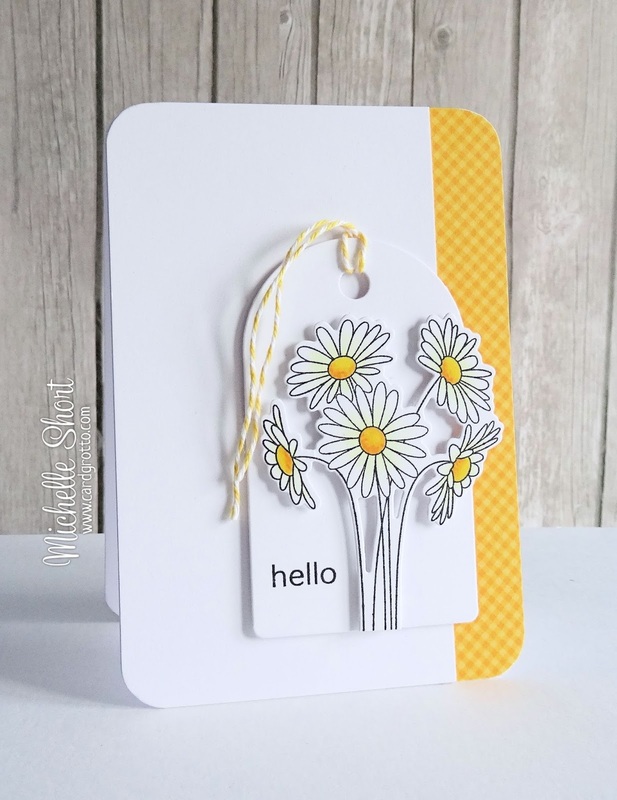 Today I am using a new set called Celebrating You, along with the matching die set. 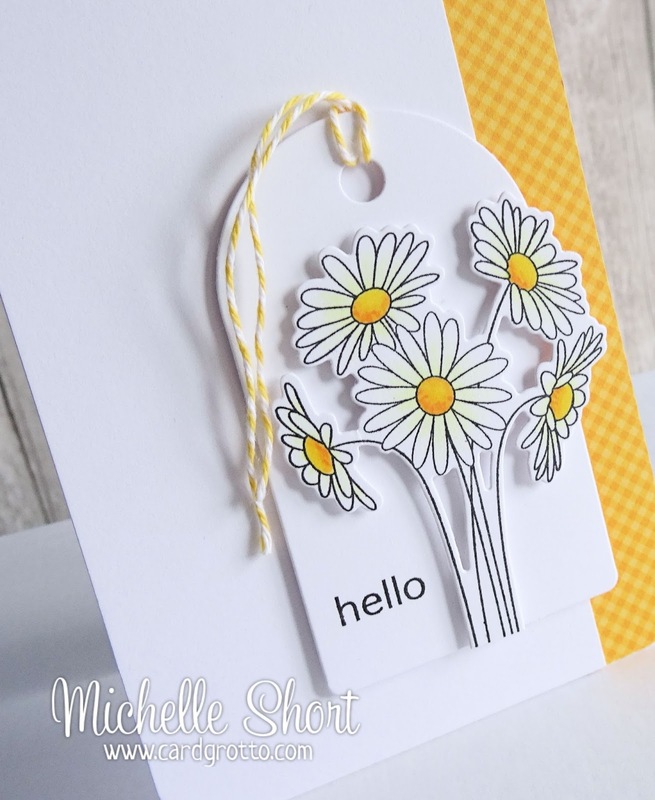 It is a beautiful set with some stunning flowers and sentiments. For my card, I first took the flower image, stamped it in back and coloured it using Copic Markers. I have then cut this out using the matching die. The flowers have been adhered to a tag cut using the Rounded Tag die with foam tape. The sentiment, from the A Little Sentimental set, has been stamped beside the flowers. I have added some twine to the tag before adhering to the card base with more foam tape. The base is a 3.5x5" card base which has a strip of paper from the Doodlebug Friendly Forest adhered to the right side. The corners have been rounded with the WRMK Corner Chomper. This is stunning Michelle - LOVE the burst of yellow on this chilly Autumn morning!! Sunny and cheerful! A gorgeous showcase of this new set! I am in LOVE with card. My favorite flower!